Thinking about running an online-only store but not sure where to start? 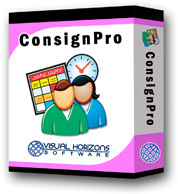 You’ve found the perfect solution with ConsignPro. Our software not only keeps track of your consignments with ease, but also lists those items in your very own Online Store. The store can be our “stock” one, with prices starting as low as $19 per month, or a highly-customized store that incorporates your colors logos and style. Some owners have even integrated our online store into their own website, making selling online not only easy but highly profitable too! Learn more.